This seeming problem occurs only when slowing down from overdrive at around 40-45 MPH down to 20 MPH as I attempt to stop but the traffic light turns green and then I accelerate from around 20 MPH. As I accelerate, I hear high pitched revving noise and RPM's jump to between 2,000 and 3,000 and the car seems to be moving only on inertia. Then, as soon as I lift my foot from gas pedal and re-accelerate, the car engages a gear and moves on as if nothing happened! My car has clean oil and no leaks, and otherwise runs like a champion race car. What the heck is causing this apparent issue? Someone please advise. This sounds like a transmission issue. It is falling out of gear and then kicking back in. I would start by checking the fluid level and be sure it is full. Beyond that, I would change the transmission oil and filter and see if there was any debris in the pan. 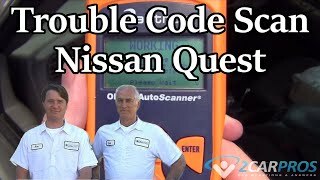 Is the check engine light on with any codes stored? 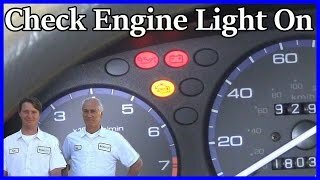 I serviced the transmission this year (gasket, filter, the whole transmission service kit, 4 quarts plus a half a quart Mercon V I added myself after the service) and there are no warning lights on the dash. However, the transmission service did not replace all of the oil inside. Be it noted that the old oil in the transmission (when police were maintaining it) was red and clean. There is a little debris in the pan, and the tech also cleaned out the magnet. A note: I discovered that I was handling my transmission a little too gently fearful of damage, because even in the described "problem" above, at higher RPM's, if I were not to lift my foot of gas, and kept pressing at 2-3 1000 RPM's the car is still engaged in a gear, maybe it is still at that point in overdrive which is why the noise occurs, but the transmission is not disengaged in my example. What do you think? The debris found in the pan was described by the tech as "little dirt, all normal". I would still drop the pan and inspect the filter? The whining could be the front pump starving for fluid from a clogged filter. Gas Pedal Clicks When Pushing Down, Like It's Sticking.